The production version can't be far behind. BMW has been working on this one for a long time, and we’ll finally catch the first glimpse of its effort next month at Pebble Beach when the German automaker reveals the new Z4 Concept. Like the previously revealed 8 Series Concept, expect for this latest one to be very similar to the also upcoming production-spec version, which could debut as soon as September at the Frankfurt Motor Show. To get some momentum going, BMW has just revealed the first Z4 Concept teaser on Instagram, and it gives a pretty good idea of what to expect. 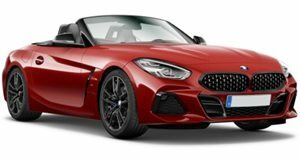 A few things to note here: it’s clearly a two-seater with a short rear deck and long hood – just like the outgoing Z4. The hood is also angled further towards the cockpit, but we have to remember this is a concept, so expect some styling elements such as that. The side mirrors are also very thin, an element that definitely won’t make it to production. Overall, the silhouette falls in line with all of the many prototype spy shots we’ve seen over the months/years. Remember, the Z4 and the reborn Supra share a basic overall rear-wheel-drive platform as part of a joint venture between BMW and Toyota. There will be many differences, other than design, between the two sports cars, namely in driving character and even engines. Still no word yet on what Toyota’s plans are for the Supra debut, but we wouldn’t be surprised to see something of that nature this November at the LA Auto Show. In the meantime, BMW will reveal the Z4 Concept on August 17th at Pebble Beach.